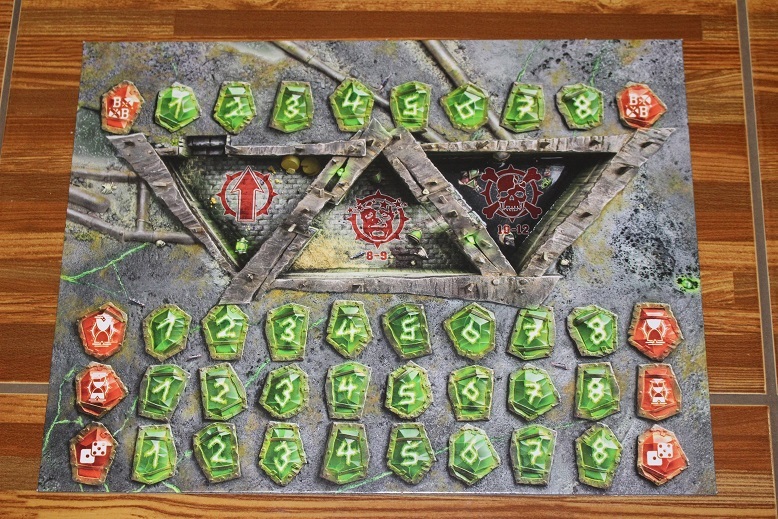 As I mentioned in my last post, I was one of the lucky few who was able to pre-order the new Skaven and Dwarf themed pitch before they almost immediately ended up sold out. Now, as promised, here is my unboxing/first impressions post about the new pitch and dugouts. I knew that the pitch would be arriving sometime this week, but since I only opted for standard shipping, I was not sure what day. 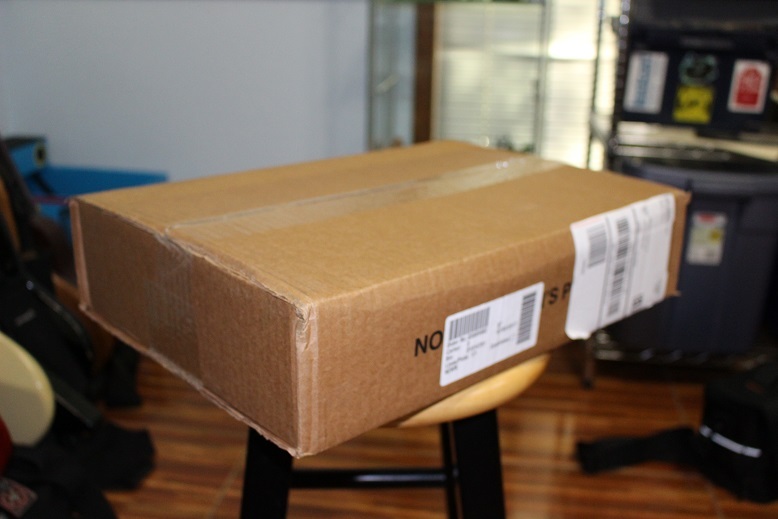 Well, when I got home from work today, a nice big box was sitting on the dining room table. I immediately grabbed the box and went down to my hobby room/office and broke out the camera. I actually used the nice camera today, so the pictures should be a bit better than last time. A glorious box from Games Workshop! What wonders might it contain? I grabbed my trusty 5.11 Tactical, Limited Edition (free with any order) pocket knife and began furiously cutting away at the packing tape… OK, the cutting was not too furious. I am forty years old and that is just dangerous! Anyway, I finally got the box open after only a small amount of cussing and this is what I saw. The first thing I noticed is that the packaging is a bit nicer than the Blood on the Snow pitch. The Blood on the Snow packing was pretty much just a cardboard sleeve that covered only about a third of the folded board. 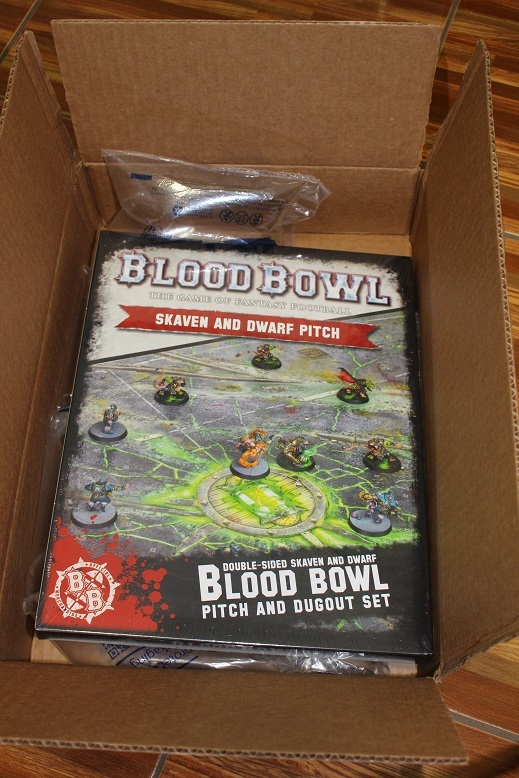 The Skaven and Dwarf pitch comes in a legit, if awfully thin box. Below are pictures of the front and back of the sealed box. Notice the custom Weather Table on the right side of the above image. Want a closer look? Me too! I think that is completely nuts, and not necessarily in a bad way. I know it opens up the potential for a coach to suffer a lot more casualties, especially on a low AV team like Skaven, but can you imagine the stories that will arise from playing a whole game with Thermal Geysers being the starting Weather result? One out of six players scatters like an inaccurate pass when they get knocked down? If you CAN knock them down, it would make busting holes in those Dwarf lines a little easier. I actually look forward to playing a game using this Weather Table, but that is just me. Moving on, I next opened the box to see the goodies inside. First up are the dugouts. Fairly standard, but I have to admit that I like the fact that they are included. The fact that the Blood on the Snow pitch did not include themed dugouts was one of two things that I did not like about it (more on the second thing I did not like later). 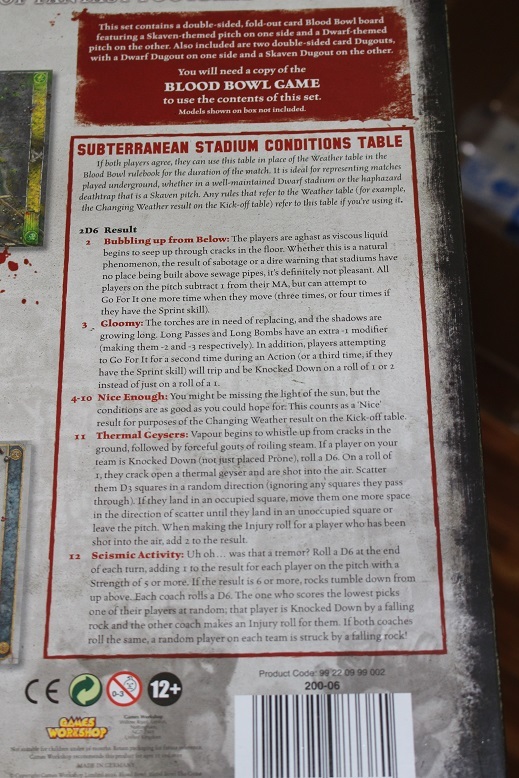 I know that the Blood on the Snow pitch was just a winter themed Human and Orc pitch, and we already had Human and Orc dugouts in the main box, but it would have been nice if Games Workshop had put a winter spin on them like it did with the pitch itself. 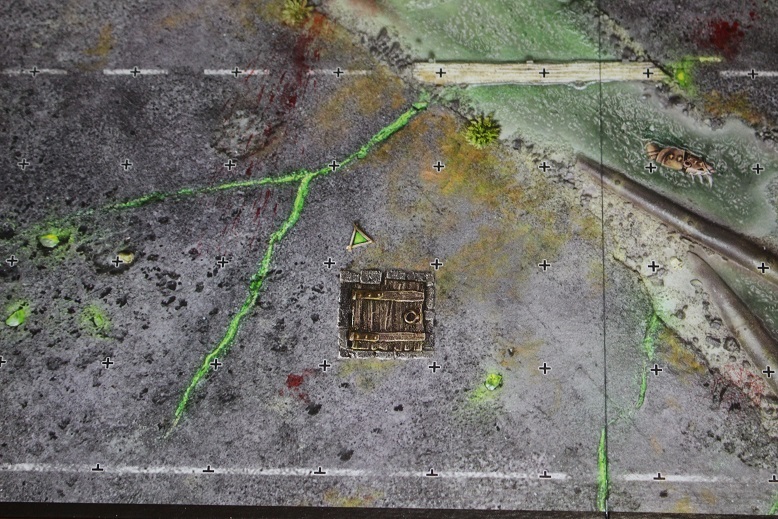 Anyway, this board comes with themed dugouts. They are neither earth shattering, nor disappointing in their design. They are pretty much exactly what I expected. On to the pitch itself! First up is the Dwarf side. I have to say, I really like this pitch. 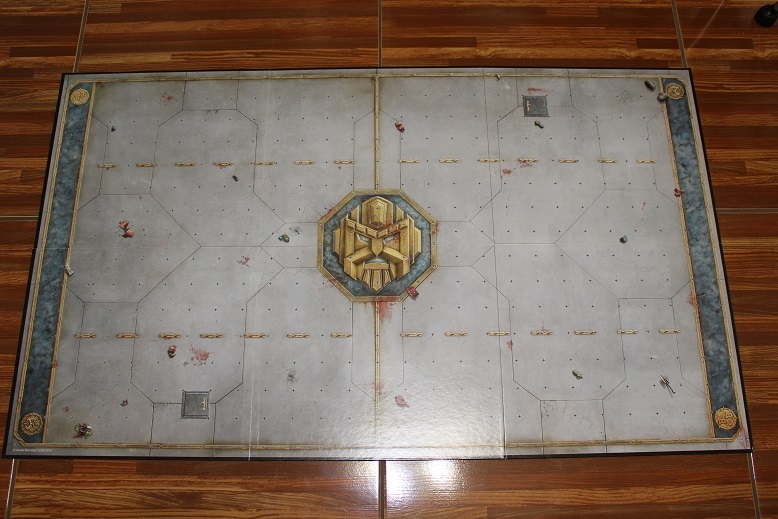 If feels very Dwarfy, and all the squares are easily discernible, which is a complaint about the main boxed set board. 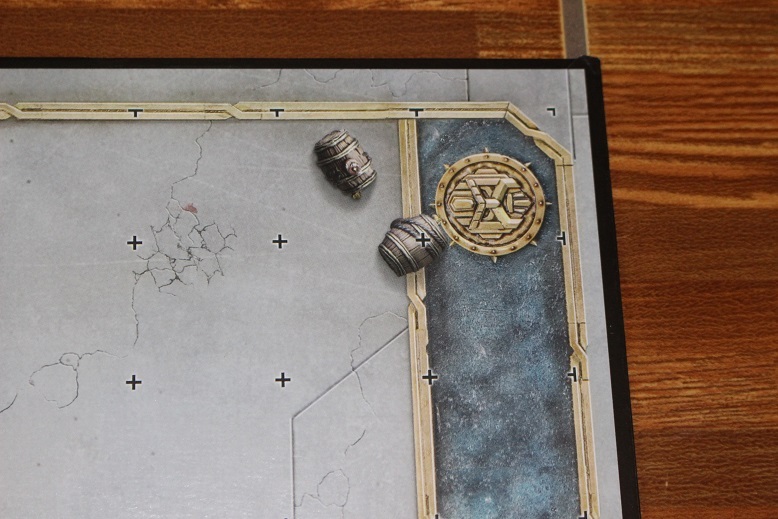 In common with the main boxed set board are a number of nice details. 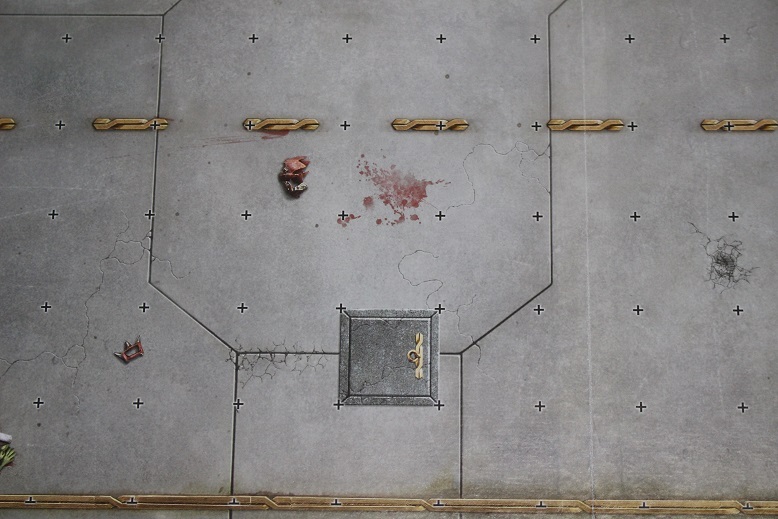 The obligatory trap doors and body parts. Those silly Dwarves and their silly alcoholism! The emblem in the center of the pitch is pretty nice and only slightly blood spattered. The squares are not quite as easily noticeable over the emblem, but it is not too bad. 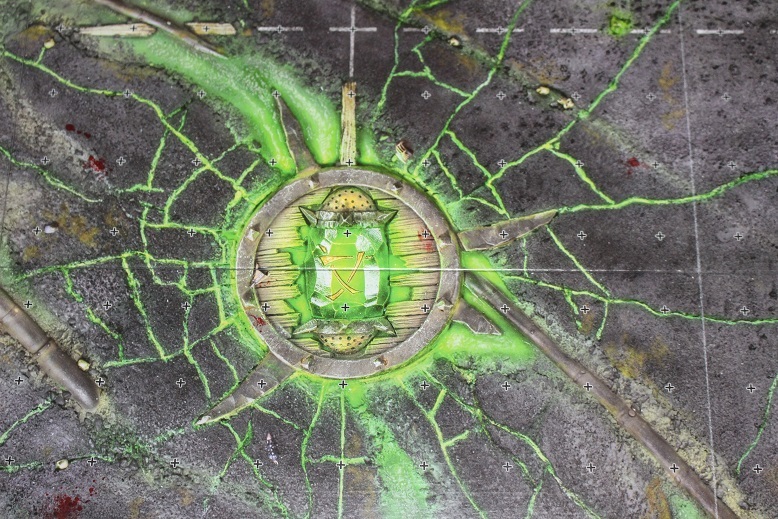 Now on to the Skaven side of the pitch! This pitch looks REALLY good. My only complaint is that unlike the Dwarf side, the squares on this side are much harder to see clearly. The pitch is a fairly dark color, and the square markings are black with only the slightest white outline. 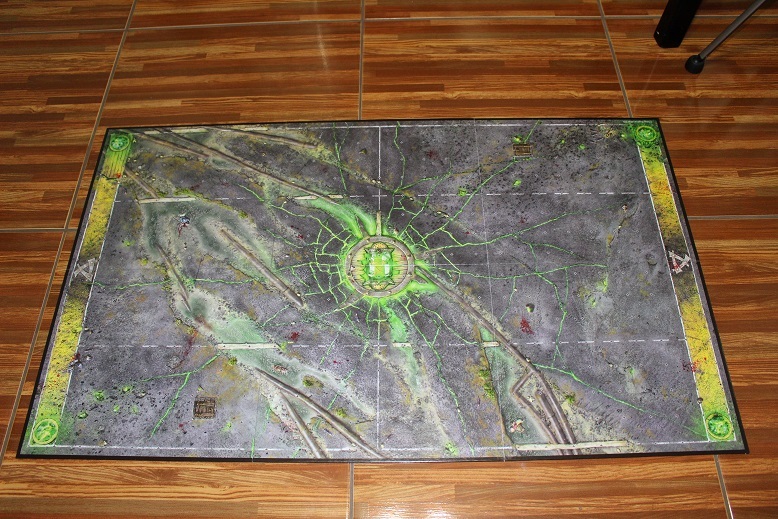 Since it is a Skaven pitch, maybe a Wyrdstone green would have been a better choice for the square markings. I suppose we will never know. I REALLY like this center pitch emblem. It might be my favorite of all time, though the 3rd edition double skull emblem is pretty tough to beat. In this picture, you can clearly see what I am talking about with the square markings being tough to make out. Again, the obligatory trap door! There is even a human that appears to have drown in the toxic sludge flowing through the pitch. 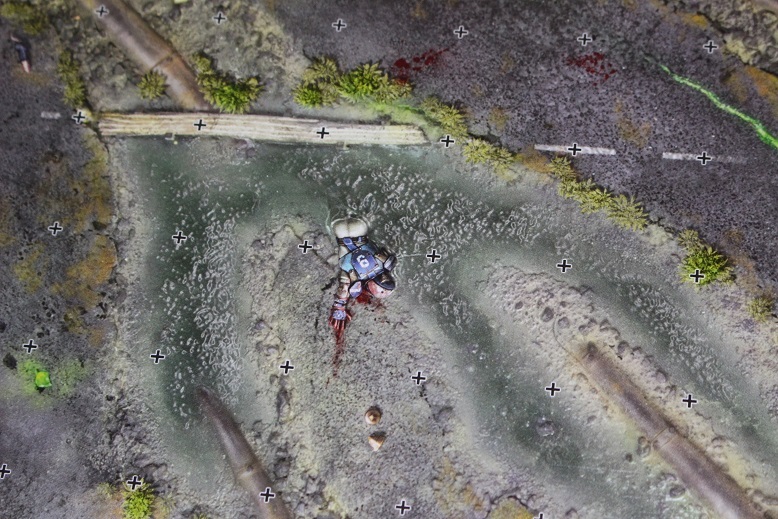 Now to the thing that the Skaven and Dwarf pitch and the Blood on the Snow pitch have in common that I do not like. 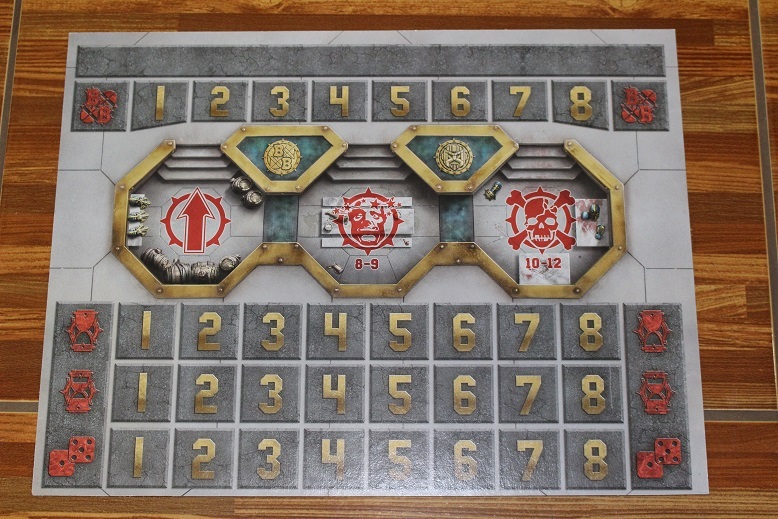 Both pitches come with a custom Weather Table, which I actually like, but what I do not like is the fact that both Weather Tables are printed on the actual packaging instead of printed on a card and packaged along with the boards. Why is that a problem? Well… now I have to keep the packaging in order to keep the tables. Or worse, cut them out to try and make them resemble cards, and risk screwing that up and making them look like crap. 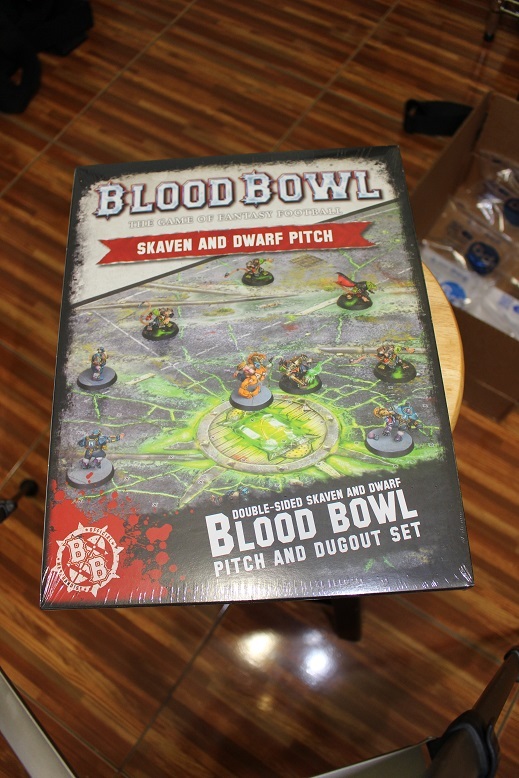 I was able to find a PDF copy of the Blood on the Snow Weather Table, and I hope I can do the same with the Skaven and Dwarf Weather Table because I do not really want to have to keep the packaging forever. That one little gripe aside, I really like this new pitch. 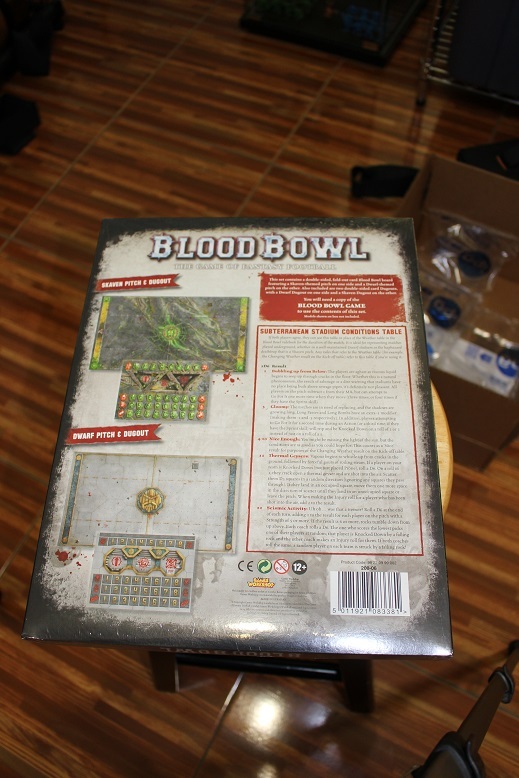 After all, it is more Blood Bowl stuff to buy, and there are few things better to me than more Blood Bowl stuff to buy! Aside from simply buying more stuff, I have SLOWLY been working on painting my new Skaven team. Once I have completed a little more work, I will write a post about them. 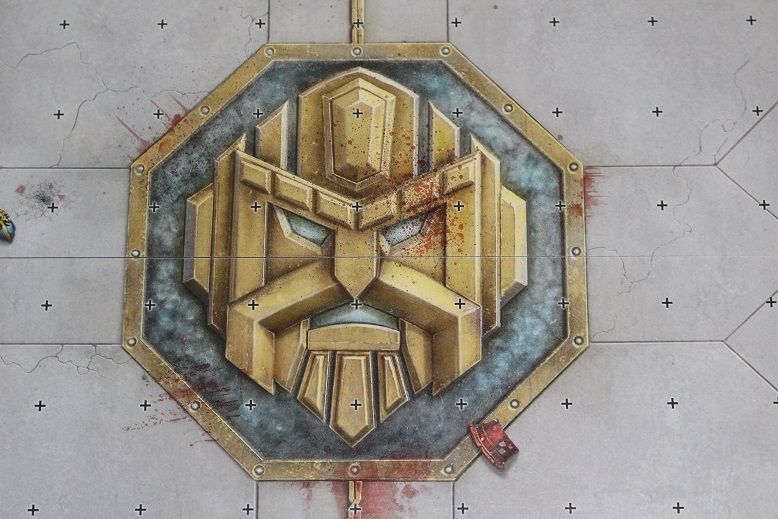 This entry was posted in Blood Bowl, Gaming and tagged Blood Bowl, Blood on the Snow, Games Workshop, gaming, Miniatures, Skaven and Dwarf, table-top games, tabletop wargames, wargames, Wargaming by Mike C. Bookmark the permalink.